Largemouth bass are the most sought after sportfish in New Mexico. Average CPUE of largemouth bass in Elephant Butte remains well below the statewide target objective of 20-40 fish/h. From 2011 to 2015, 12,000-68,000 largemouth bass fingerlings were transferred from Montana and Arkansas to the Reservoir to augment recruitment of largemouth bass populations. Our objective is to retrospectively characterize the contribution of these stocked versus natal (hatched in the reservoir) largemouth bass across stocking years. We have implemented a non-lethal method using stable isotopes in spines to characterize natal versus stocked fish within a series of age classes of the bass population in Elephant Butte Reservoir. 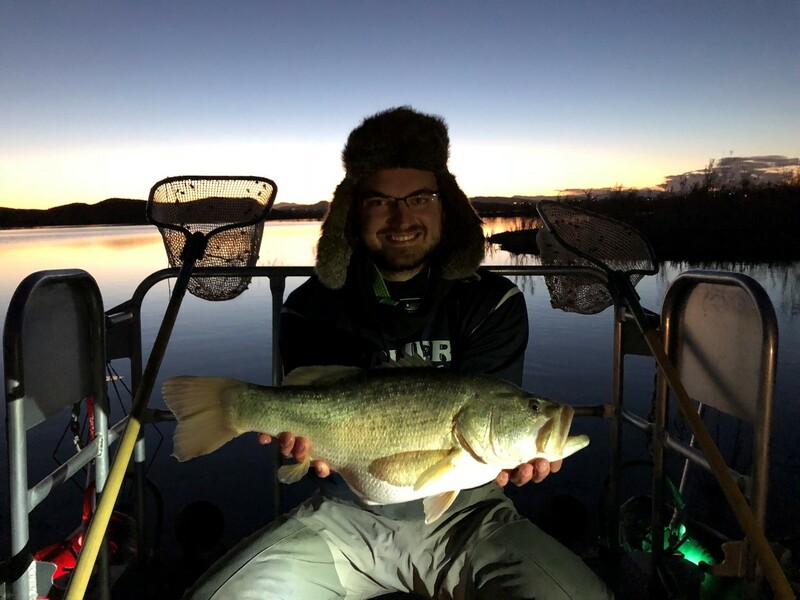 The graduate student (A. Vaisvil) is identifying the causal linkages associated with recruitment in the largemouth bass population to determine whether recruitment has occurred through the transitioning of ontogenetic phases (i.e., native spawn), or, if recruitment occurred through stocking of fingerlings, and thereby skipping the transitioning period (i.e., stocked). We have partnered with our State cooperator, New Mexico Department of Game and Fish, to characterize the importance of stocking older age classes in Elephant Butte Reservoir.